The emerging service-oriented computing bring various services together to a ‘market' for clients to request, enabling the integration of services across the distributed, heterogeneous, and wide area networks. By encapsulating diverse implementations of physical and software resources in the interface that standardizes the functions, loosely coupled services have show great potential to support a versatile integration platform for complex applications. Existing techniques can successfully support integrating services from different providers to provide applications with more complex user requirements. However, to automatically composite services with guaranteed QoS is not trivial. In this paper, the authors propose Q-SAC, a QoS optimized service automatic composition model. Two main features of Q-SAC include automatic service composition, and multidimensional QoS optimization for the composition plan. The authors show that the problem of Q-SAC QoS optimization is NP-hard, and design a heuristic simulated annealing algorithm. Through simulation the authors show that this design is practical and efficient. QoS problem arises from resource competition among applications. Much research work has been done for resource reservation (Urgaonkar and Shenoy 2004; Foster, Kesselman et al. 1999;Czajkowski, Foster et al. 2005) and service level agreement (Czajkowski, Foster et al. 2002; Leff, Rayfield et al. 2003; Sahai, Machiraju et al. 2003) in service oriented computing. The issue of Web service QoS has recently been addressed. 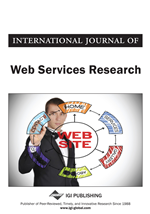 Ran (2003) proposes a new Web services discovery model, in which the functional and nonfunctional requirements (e.g. QoS) are taken into account. The new role in this model is the Web service QoS certifier that verifies the claims of quality of service for a Web service before its registration. The model ranks quality of services during service discovery. Maximilien and Singh (2004) address service selection coupled with a QoS ontology proposing architecture based on an agent framework.